N is for Nests and Nature~ | The Happy Wonderer ~ ellen b.
It’s time for the letter N with Jenny at Alphabe-Thursday! Thank you Jenny for hosting! This past weekend I had a bloggy guest spend a few days and we were out and about in the Great Northwest. On the way and during a trip to the Sequim Lavender Farm Faire we were given the opportunity to photograph something neither of us had ever seen before, a baby Seagull. My daughter Katie spotted it off the car deck of the ferry. 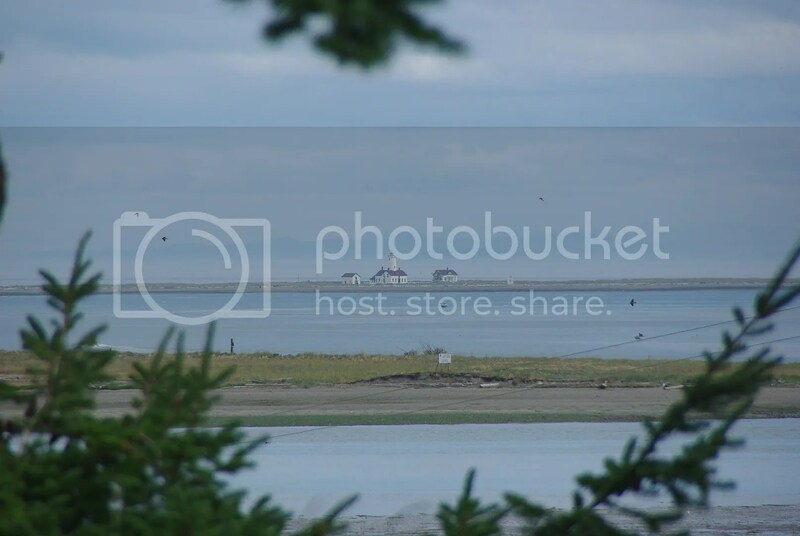 Later in the morning above the Dungeness Spit on Marine Drive Jill spotted an eagle. Eagle photographs have eluded me until now and then a local stopped while we were photographing the Eagle to tell us about a spot where we could see 2 young eagles still in their nest. Let’s just say that it was a glorious start to a glorious day of enjoying God’s creation and making note of that creation with our cameras. 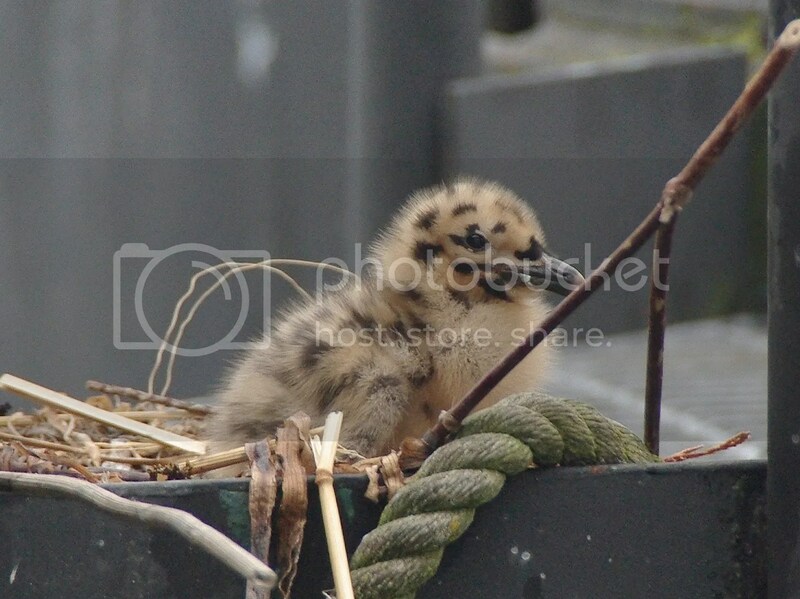 Here’s the baby seagull that Katie spotted from the ferry dock. Mama seagull was standing over it keeping an eye on us while we clicked away. 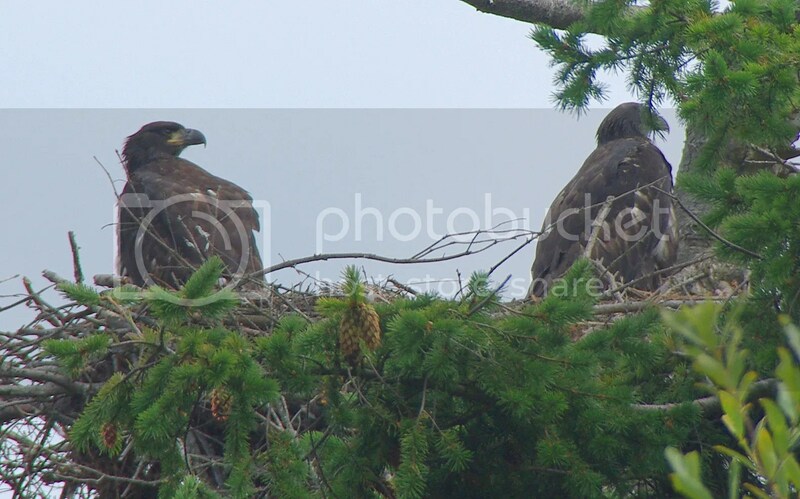 Nests – The shape of the eagle nest or aerie is determined mainly by the branch point where it’s built. Sticks placed in tree forks result in cylindrical or conical shaped nests. Disk Shaped nests are built on the ground or a tree branch which is nearly level. Bowl Shaped Nests occur where the tree trunk branches off into smaller upright branches. 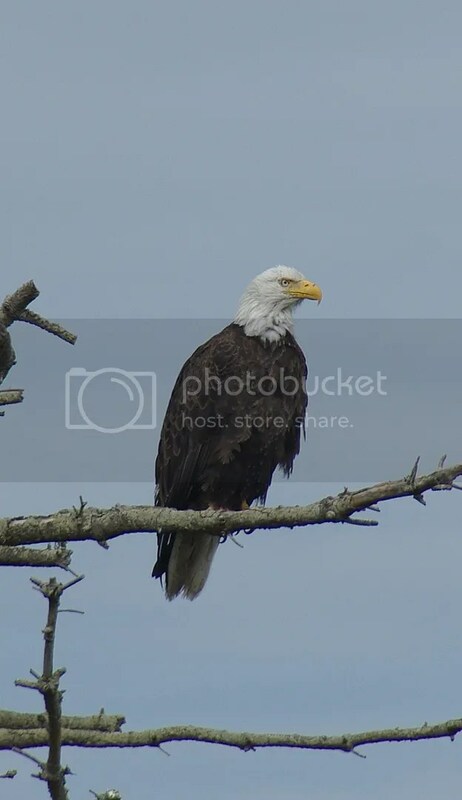 Bald eagles build their nests in large trees near rivers or coasts. A typical nest is around 5 feet in diameter. 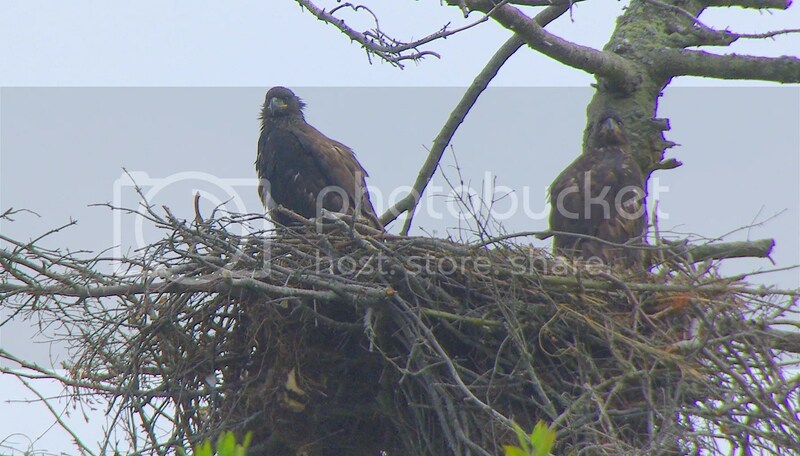 Eagles often use the same nest year after year. 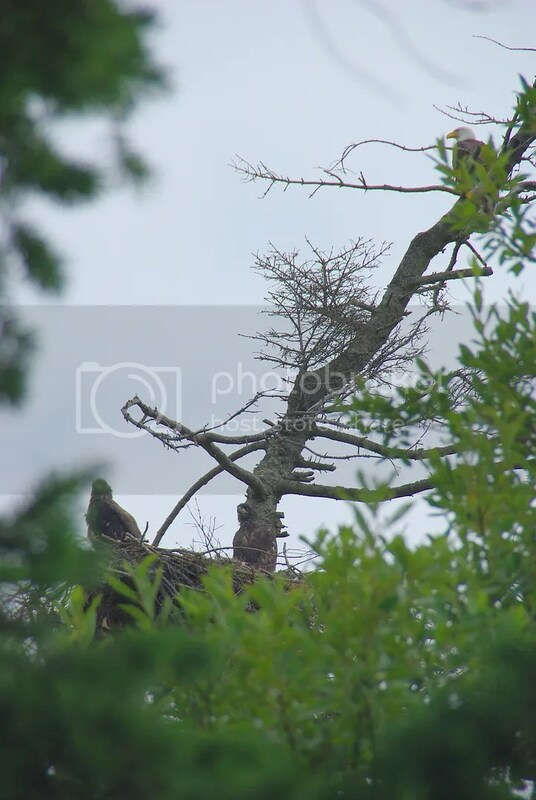 We assumed this is one of the parents of the eaglets since it was perched just above the nest. Beyond the Dungeness Spit is the Strait of Juan De Fuca which separates this part of the Olympic Peninsula from Vancouver Island, B.C. The Dungeness Lighthouse. Built in 1857. Manned and maintained by US Lighthouse Society, New Dungeness Chapter. Six mile walk to the lighthouse. Open year round. 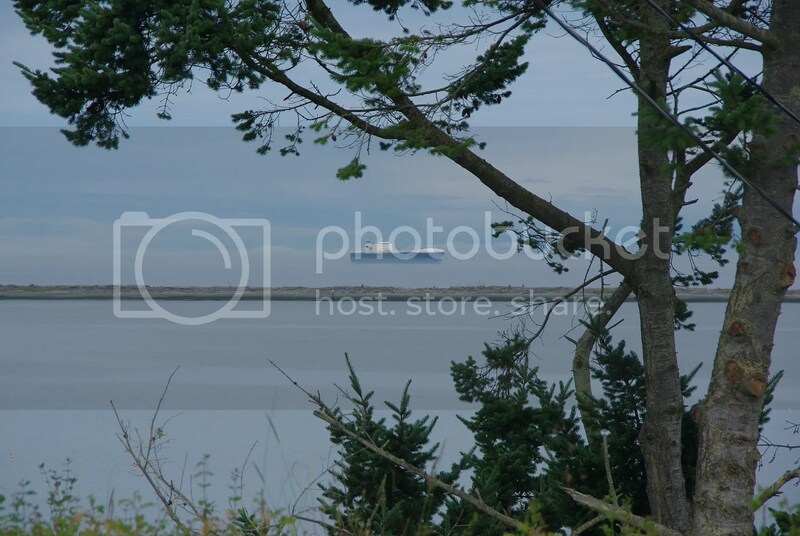 This is also the Dungeness National Wildlife Refuge. We saw other animals, too. 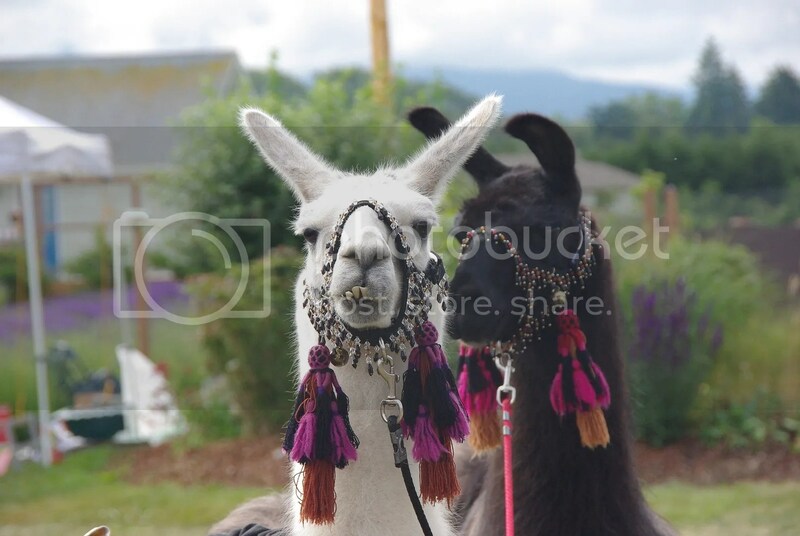 Besides needing some serious orthodontia work, aren’t they cute? We stayed far enough away so they couldn’t spit on us. Another first for me on this day was being able to photograph this peacock with it’s feathers fanned. Too bad he was behind the wired fence. Hope you enjoyed my nature shots. I’ll be around soon to see what other N’s will be represented this week. 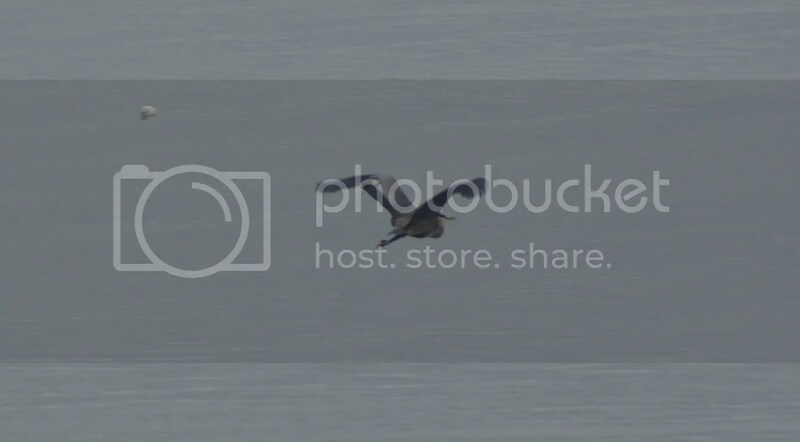 Posted on July 20, 2011 by Ellen •	This entry was posted in Alpahbe-Thursday and tagged Baby Seagull, Dungeness Spit and Lighthouse, Dungenness Spit, Eagles, Eaglets, Llamas, Peacock, Photography, Sequim. Bookmark the permalink. ← Creekside Lavender Farm ~ Our Military Favorite! Those are wonderful eagle shots! It’s really something to see those magnificent creatures in their natural habitat. 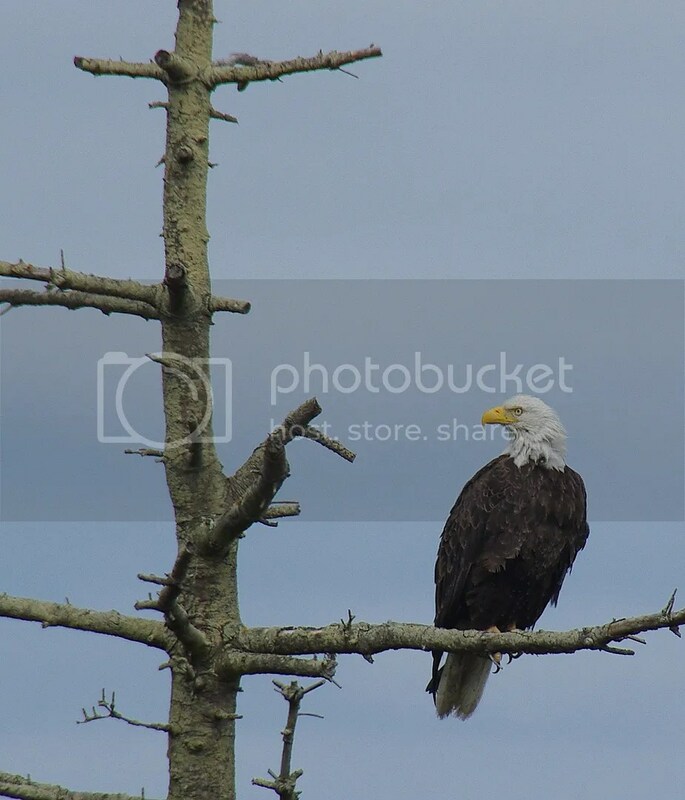 There were always eagle nests along a river in the town we went to college in….beautiful. However Ellen, how rude ~~~~serious orthodontia work needed. LOL I don’t know that I’ve ever seen teeth such as those. They are such fun creatures, although I too have always kept my distance. And how exciting that you got to see the peacock with feathers fanned. I LOVE that. I haven’t seen one since I was a little girl. A local greenhouse had some wandering around. Now that would be the kind of critters I would want if I had land in the country. So beautiful. What amazing nests & such fab pictures! Thank you for sharing! 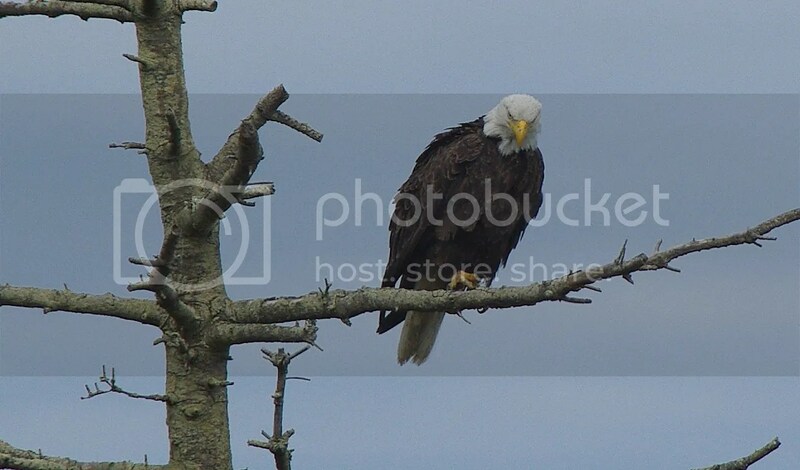 Oh my, the eagle looks so majestic. Love the pictures! Beautiful birds! Great shots! I’d love to see an eagle one day! Beautiful, beautiful shots! 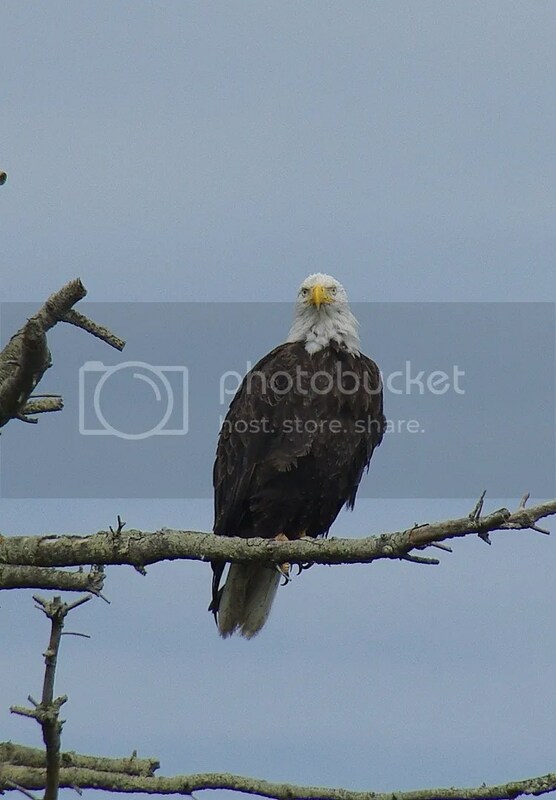 Some people go their entire lives and never see a bald eagle. I’m glad you shared these. I still get a happy giddy feeling when I see the baby gull. You got a face shot of the Mother Eagle too! She looks somehow sweeter than Dad did, and I swear one of those twin eaglets was practicing his stern eagle face in one of your shots. The whole day was fabulous; I don’t think it could ever be duplicated again in a million years. Oh and as my dad always says: Seagull? Then what do you call such a bird found in a bay? A bagel? Amazing photos Ellen. 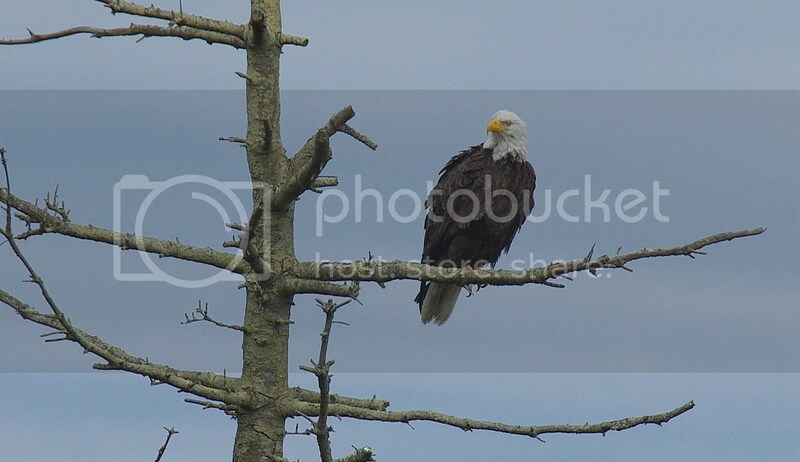 We only saw bald eagles in Alaska. A baby seagull and a peacock and young eagles too! You hit a jackpot! Your photos are just wonderful!! I’ve never seen a baby seagull before. So cute when they’re babies! Fantastic ‘bird’ shots. That little seagull was adorable. Who knew he’d be spotted! Eagles are so magnificent! Glad you got to photograph them. There are a few ‘eagle festivals’ not too far from here. Usually about the time the fish spawn…it’s easy pickins for them at that time. 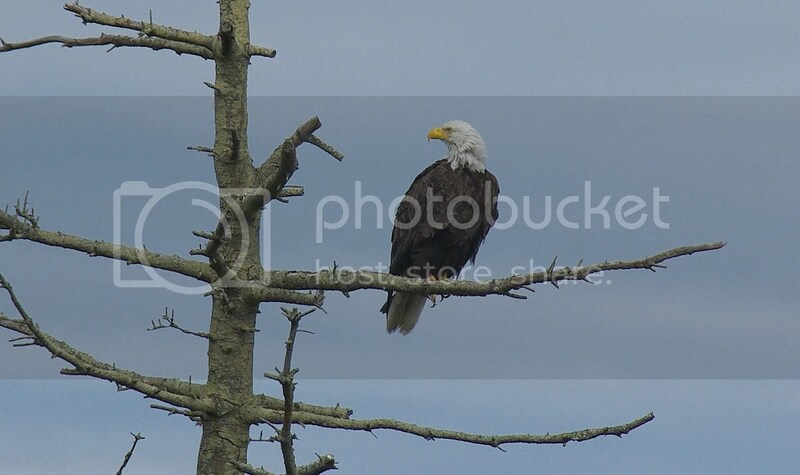 Kilby, BC is loaded with eagles in the fall. Your poem was so appropriate…I’d not read it before…what a treat! Spectacular shots of the eagle. And the little seagull looks so cute. I’m glad that Jill was able to spend some time with you. I’ve been enjoying her posts about her visit. What incredibly gorgeous pictures! I love that little baby seagull and have only seen one once before. So darn cute! What a cute baby seagull! 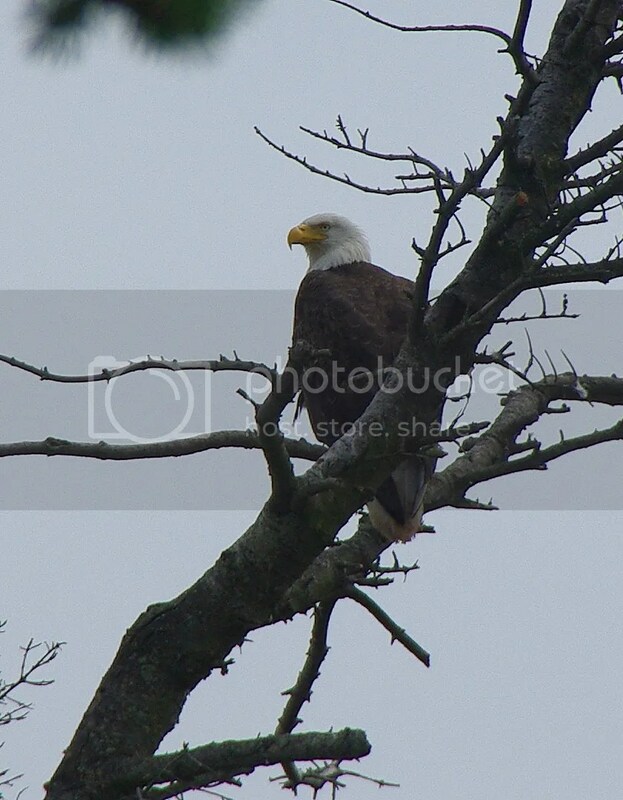 And love your other photos…up by the lake that my dad lives on, there is a pair of eagles that have lived there for.ever…they are there and lay their eggs and raise their little ones. I think they say that they are mates for life. 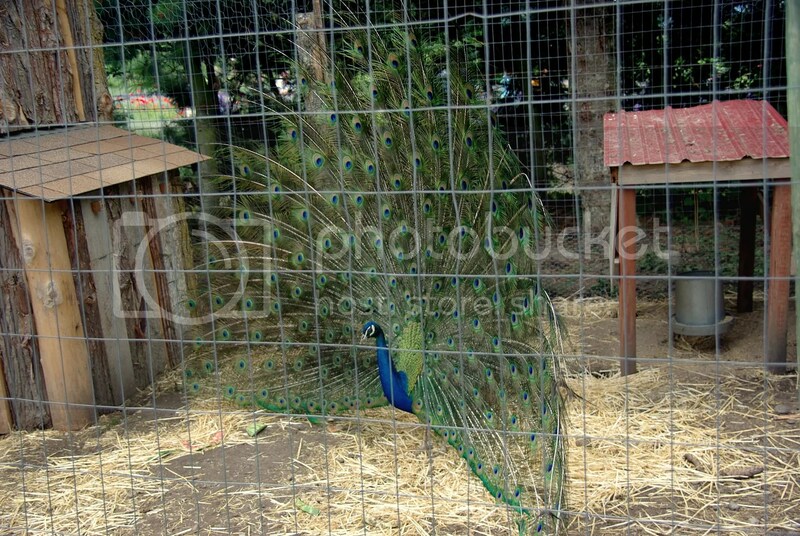 And the peacock with his tail feathers open in its full glory is gorgeous. Gorgeous shots of those eagles. They’re so majestic! That countryside is so lovely. 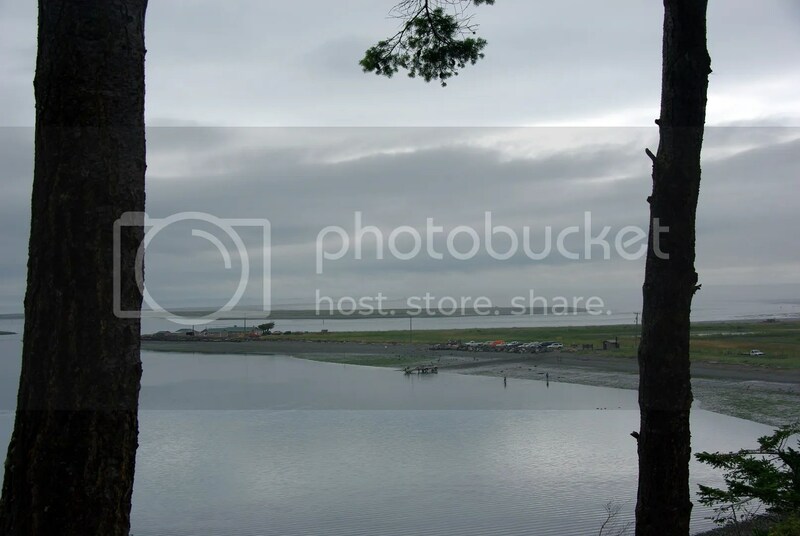 I’ve been to Sequim several times. It would be fun to go for the lavender fair! Love those nifty shots of the eagles! Thanks for sharing all this loveliness! I’ve never seen a baby seagull. so cute! How great that you were able to view and photograph such awesome sights! Alfred Tennyson’s poem is perfect!